GENEVA – United Nations human rights experts have urged Saudi Arabia's government to halt the execution of Ashraf Fayadh, an artist and poet of Palestinian origin born, condemned to death for apostasy. Reports say the Saudi-born poet could be executed in mid-December. Fayadh was sentenced to death on Nov. 17 for the crime of "apostasy," based on a collection of poems published in 2008 and the testimony of a single witness. The witness claims he had heard the poet make blasphemous comments at a cafe. Thousands are tweeting the challenging message "Sue Me Saudi" to compare the human rights situation in Saudi Arabia to that under so-called Islamic State, or ISIS or Daesh as it is called, reports the BBC in a blog. The reference to an unconfirmed newspaper report that said the Saudi Justice Ministry was threatening legal action after someone made the comparison - although it's not clear that the ministry actually made the threat. The trend began with a tweet about Ashraf Fayadh. The testimony used against Fayadh had been initially discarded by the court, which deemed it as being motivated by the existing animosity between the witness and the accused. The U.N. human rights experts also expressed their concern at the reports that Fayadh did not have legal counsel during the judicial proceedings, in violation of international law. "It appears that Mr. Ashraf is about to be executed on the basis of seemingly unreliable evidence to the effect that he exercised his freedom of expression after an unfair trial. "This has to be deplored as an arbitrary and thus unlawful execution," noted the Special Rapporteur on extrajudicial, summary or arbitrary executions, Christof Heyns. "Sentencing a poet to death for his writings and alleged blasphemous comments is obviously unacceptable in accordance with any interpretation of human rights," said David Kaye, Special Rapporteur on freedom of expression. "The promotion of such a violent response against a legitimate form of opinion and expression has a widespread chilling effect across all of Saudi society," continued Kaye. The Special Rapporteur on freedom of religion or belief, Heiner Bielefeldt, stated that "people should be able to express convictions, doubts and ideas without fear of persecution." He emphasized that "practice of religious belief can best flourish in a society that allows for freedom of expression." 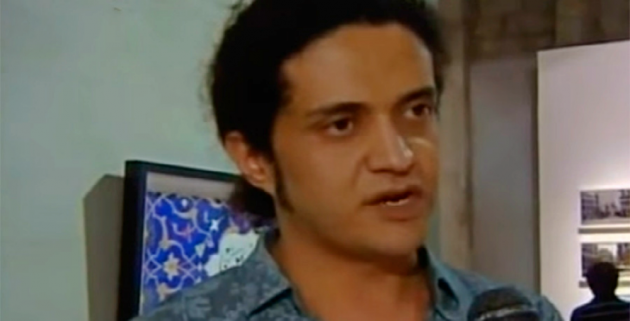 "The death penalty imposed on Mr. Fayadh for his poetry is in violation of international human rights law and amounts to a grave violation of freedom of artistic expression," noted the Special Rapporteur in the field of cultural rights, Karima Bennoune. "A person sentenced to death must also have the right to seek pardon or commutation of his sentence," the independent experts stressed. The statement was also endorsed by the Special Rapporteur on torture and other cruel, inhuman or degrading treatment or punishment, Juan E. Méndez; the Special Rapporteur on the situation of human rights defenders, Michel Forst; and the Special Rapporteur on the independence of judges and lawyers, Mónica Pinto.